The Cowslip is a meadow in Biddenham, it has been left to nature. The developers and planners see no future in it in terms of housing. It is located between the church yard and the A428 bypass. 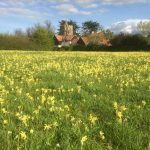 At the moment the cowslip is owned by Bedford Borough Council with limited resources available for management. 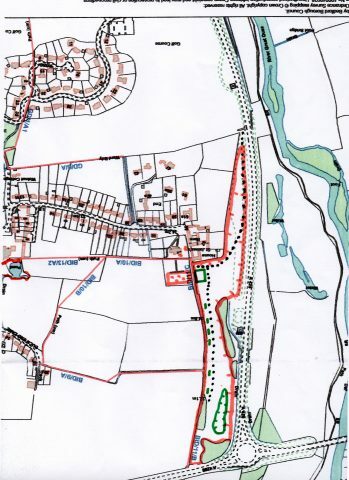 There are a group of interested residents led by Chris Jones who manage it for the benefit and the enjoyment of of the whole village and make it more accessible. Help is always welcomed. The group have a simple management plant to look after the meadow on a lightweight basis. They try to remove ragwort which renders the grass unsuitable to be removed as hay. The paths are regularly mowed in season. In the spring of 2017 they have cleared a site and planted a double hedge alongside footpath 11 as it heads north from the church. The area near the hedge will be kept clear and further small shrubs or wildflower seed planted. During the spring a wildflower walk is planned in the meadow to look at the biodiversity the site. The Bedford Borough Council are supporting us and offering advice as well as making sure that work is carried safely.